About Dave DiSano, M.Ed., C.A.G.S., Ph.D., C.H. 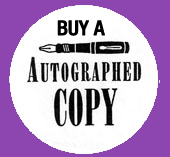 Dr. Dave has been a teacher, counselor, lecturer, and author for the past 30 years. He has an undergraduate degree in science education from the University of Rhode Island, a Masters in counseling from Providence College, a C.A.G.S. in School Psychology from Rhode Island College, and a Ph.D. in Holistic Mental Health from Clayton College. He became a Certified Hypnotherapist through Winchester Hospital’s (Woburn, MA) clinical hypnotherapy program. He has worked in urban schools as a science teacher, counselor and school psychologist. 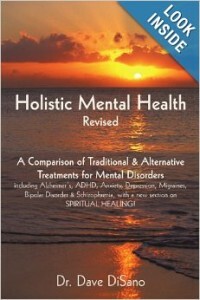 He has lectured internationally at the national conventions of the National Association of School Psycholgists in New Orleans, Dallas, TX, Toranto, CN, Los Angelos, CA, and New York City, NY on holistic alternatives for ADHD, based on his first book, Holistic Mental Health that describes alternative treatments for mental disorders. Dr. Dave has conducted individual and group hypnotherapy sessions treating disorders such as eating disorders, weight-loss, smoking cessation, anxiety/phobias, depression, insomnia, school/sports performance, and public speaking phobia. He has also conducted individual and group past-life regression sessions. 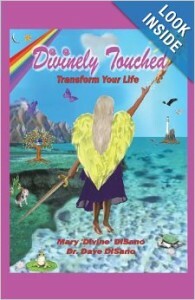 Today he conducts lectures and workshops with his wife, Mary ‘Divine’ based on their new book, Divinely Touched: Transform Your Life that describes Mary’s healing journey through the New Age and Metaphysical worlds. In it, Dr. Dave explains scientifically what Mary experienced using current theories in science, research/data, historical facts, and personal experience.